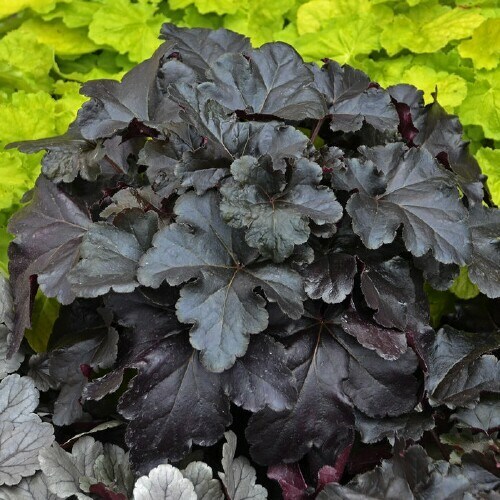 Shiny, jet black leaves with scalloped, ruffled edges and rosy purple undersides. Topped with white flowers with pink. Dense growing habit. Thrives in part shade but will grow in sun or shade.